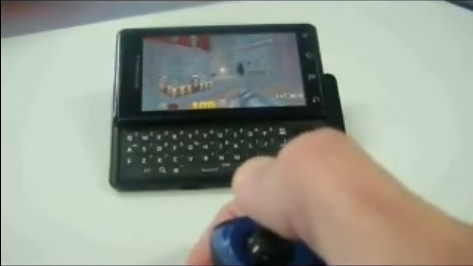 The instructions for installing Quake 3 onto your Motorola Droid have been out for quite some time, but with the keyboard proving again to be such a downer, it wasn’t all that fun to actually play. Well until now. A Youtube video just popped up and has Quake 3 running nicely on a Milestone, but with a Zeemote used as the controller. Innovation baby. Got to love it.